next meeting- monday, april 22, 2019 at 12:00 pM in the County commissioner's chamber. 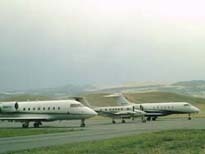 The City/County Joint Airport Board in Livingston, Park County, Montana was first organized in 1960 as a municipal airport available for private pilots and small planes. 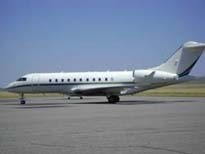 A Joint Resolution between the City Commission of Livingston and the Park County Commissioners established a 5-member Board to operate and control the airports at Mission Field (located Southeast of Livingston), Wilsall, and Gardiner, Montana. All airports are publicly supported in many different ways. Today, Mission Field is home to several small- to intermediate-sized aircraft whose owners rent hangars from the Airport Board. There is also a ground lease rental program upon which individuals may construct their own hangars to fit their needs. Rentals and ground leases are also available at the Gardiner airport. The Wilsall airport is used primarily for farm/ranch industries. Wilsall is also home of the largest model airplane fly-in in Montana! Located 6 miles Southeast of Livingston, along Interstate 90 at Exit 340. It is 54 miles north of Yellowstone National Park. Mission Field Airport recently received the Airport Of The Year Award! See Press Release for more information. Located 4 miles NW of Wilsall. This is a publicly-owned, unattended airport that serves Wilsall and nearby communities. Generally averages 50 aircraft operations per month. Meetings are held monthly on the fourth Monday of each month at 12:00 Noon. The location will be at the City County Complex in the Park County Commissioner's meeting room. Check the Meeting Agenda below or call for more information 222-4106. All of the meetings are open to the public. All Board members are current or former pilots, aircraft owners, or professional engineers. We recommend pilots to always check NOTAM's for any special circumstances on any of these airports!